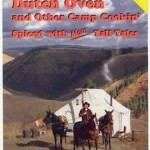 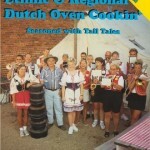 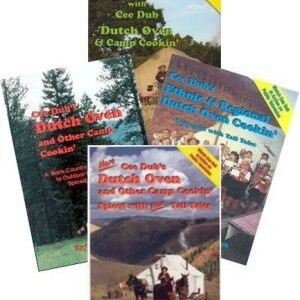 This four book set includes six hundred plus Dutch oven and outdoor cooking recipes, Dutch oven cooking techniques, camping tips, and campfire stories from Cee Dub’s twenty one year career as an Idaho game warden. 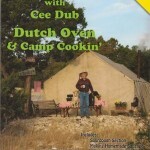 Cee Dub covers such topics as selecting the correct Dutch oven, how to cure cast iron cookware, the difference between cast iron Dutch ovens and hard anodized aluminum Dutch ovens, cooking with charcoal briquets versus wood coals from the campfire, along with camp tips to make life easier for all camp cooks. 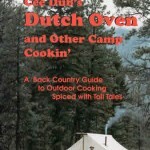 Mouth watering recipes include Dutch Oven Prime Rib, Dutch Oven Sourdough Bread, Bruneau River Green Pork Chili with Enchiladas, Cilantro Slim’s Peach Cobbler, Dutch Oven Baked Oatmeal, and many, many more. 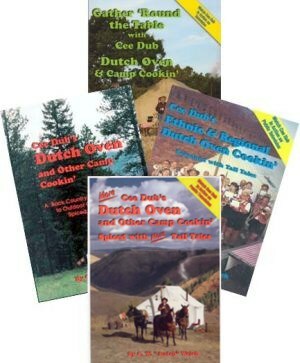 Each books has great comfort food recipes including appetizers, Dutch oven breads, fish and fowl recipes, soups and stews, meats, marinades, rubs,snacks, and desserts.